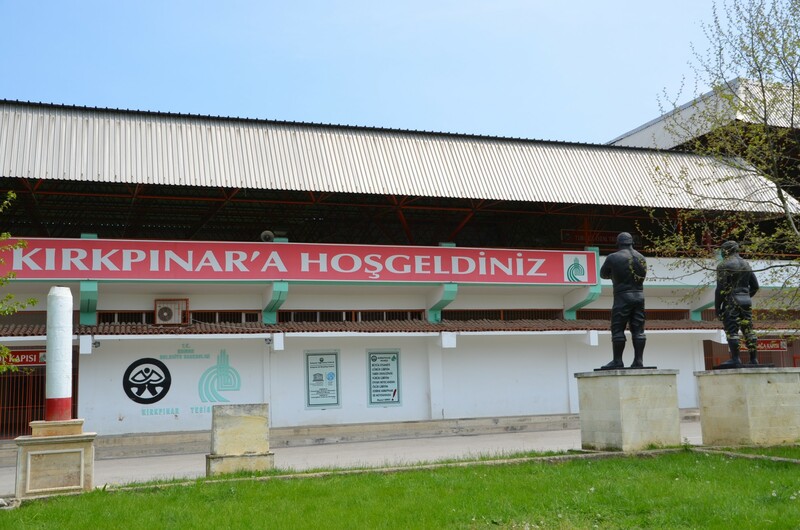 The stadium called Er Meydanı is one of the most unusual tourist attractions of Edirne. The venue, situated on the island of Sarayiçi, hosts an annual tournament of one of the most famous Turkish sports disciplines - oil wrestling (tr. 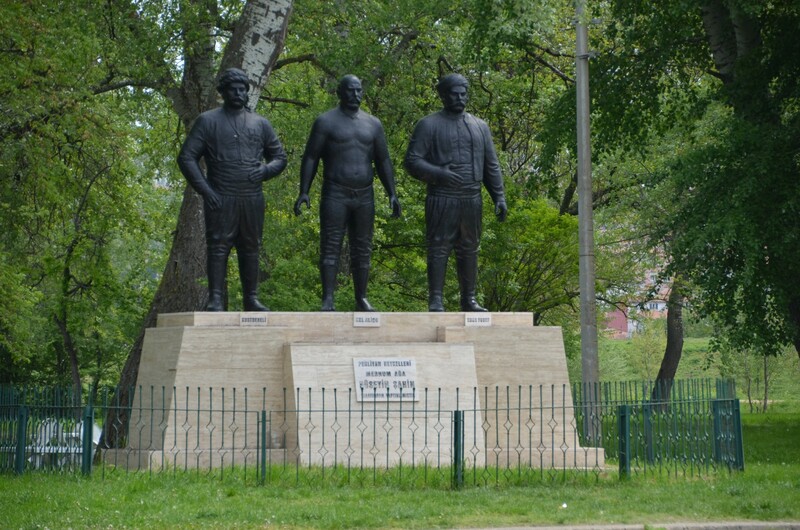 yağlı güreş). The area where the modern stadium stands today, there were once private hunting grounds of the Sultans, conveniently located near the Saray-ı Cedid-i Amire palace complex. 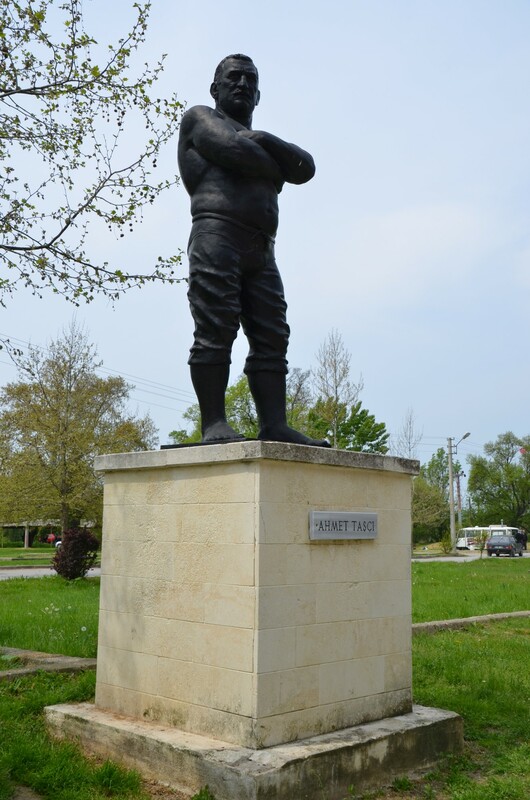 The basic principles of oil wrestling are described in more detail in the article about the Kırkpınar House in Edirne, but now it is time to look at the history of the emergence of this extraordinary sport. 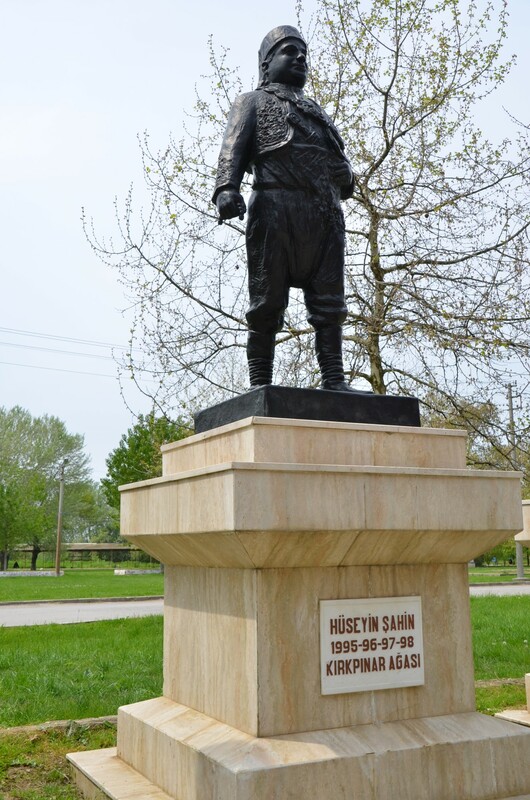 Sarayiçi Island has been the place where the competition takes place since 1924. However, the historic Kırkpınar tournament is said to be the oldest cyclical wrestling event in the world, as it has been held continuously since the mid 14th century. Interestingly, the tournament has been cancelled only about 70 times. Legend has it that the Kırkpınar oil wrestling tournament was initiated during the reign of Sultan Orhan, on the occasion of the Turkish troops marching west to capture Western Anatolia and Thrace. During the breaks in combat and marching, the warriors spent their time wrestling. Once upon a time two of the forty athletes, equal in strength and dexterity, could not finish the duel with one achieving a clear victory. But they were so persistent in continuing the fight that both of them died still wrestling. Their comrades found them the next morning, their bodies still intertwined. They were buried beneath the fig tree, and the army moved on to the west. 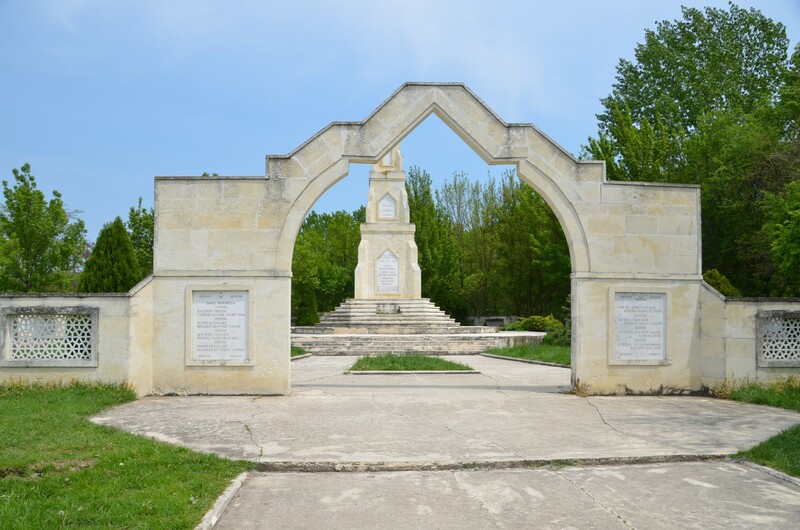 After the capture of Edirne, they saw a fig tree and a source of clean water flowing towards the meadow. As a souvenir of the famous duel, they called the meadow Kırkpınar, meaning Forty Sources - as there had been forty wrestlers. However, the history of oil wrestling is much older than that. The earliest evidence of this sports discipline goes back to the mid-third millennium BCE. In that period, oil wrestling was practised both in Egypt and in Assyria. There is much more evidence for the oil wrestling to be practised by the Persians and the Huns. There is even a story that relates how famous Atilla the Hun settled the dispute concerning the conditions of the peace agreement by holding a Roman-Hun wrestling competition in Thermopylae in 447. When Islam was brought into Anatolia, oil wrestling became more than just a sports discipline as spirituality and philosophy became a part of the game. Both in Iran and the Ottoman Empire, oil wrestling became the national sport. Turkish wrestlers started covering their bodies according to Islamic law - between the navel and the knees - after the 10th century. In this way, the characteristic leather trousers called kispet were introduced. They distinguish Turkish wrestlers from the Iranian pahlivans who wear a "pirpet", made of silk. Before the end of the 16th century, all wrestlers were recruited from prisoners of war, the Devşirme system, and other slave sources. Only the best wrestlers were accepted to become members of the elite Janissary Corps. The perception of the sport changed over the next centuries dramatically as the 32nd Sultan of the Ottoman Empire - Abdülaziz - who reigned from 1861 to 1876, was a keen follower of traditional oil wrestling. 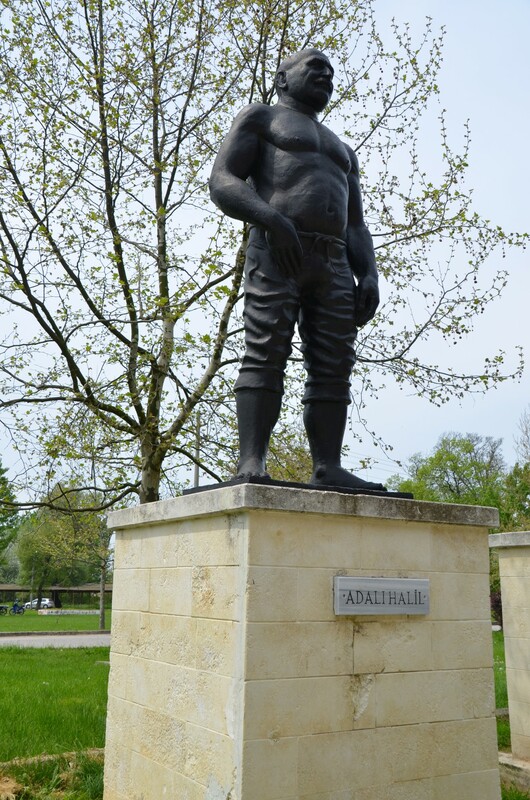 He was known as Güreşçi - the Wrestler - as he not only watched the competitions but also spent a lot of time wrestling with his friends and servants. The year 1360 has been adopted by the organisers of the Edirne Kırkpınar Tournament as the date when Ottoman soldiers started to hold annual oil-wrestling tournaments in Kırkpınar. Initially, it took place on a wrestling field "within the Samona village". 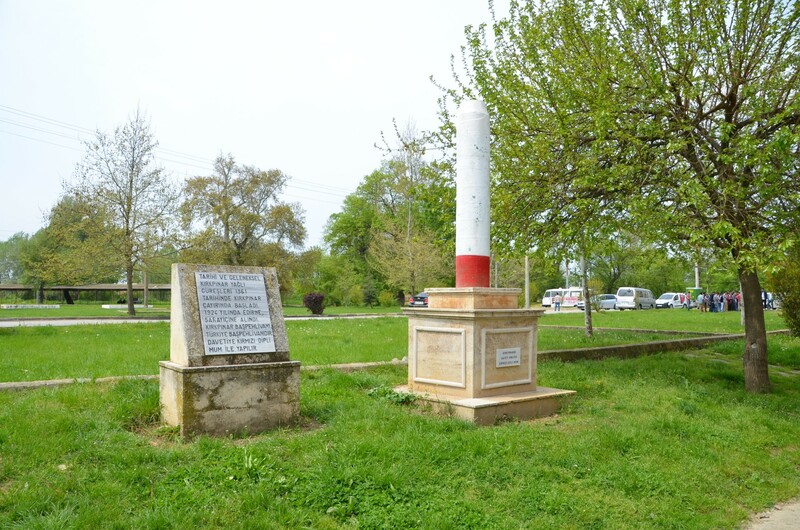 After the Balkan War in 1912, the location of the original Kırkpınar event became a part of Greek territory, so the annual wrestling festival had to be relocated from Samona to Virantekke - now the Kapitan Andreevo checkpoint on the Bulgarian border. 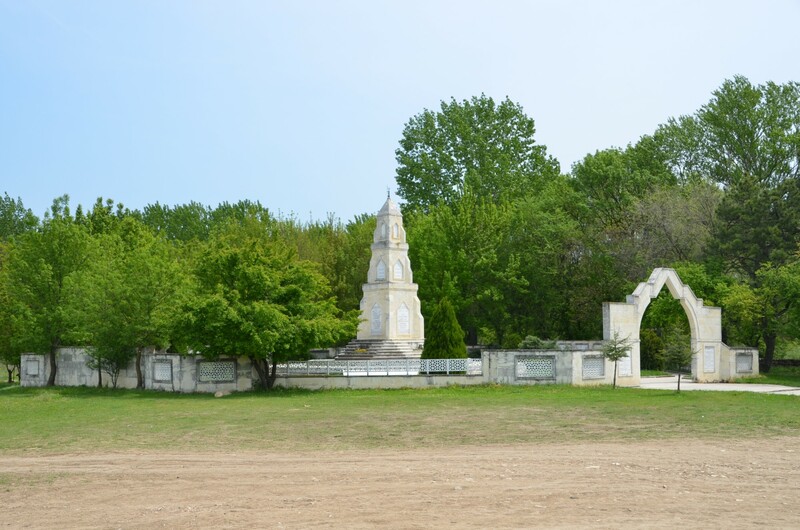 After 12 years, the Kırkpınar Tournament was moved again, this time to the Sarayiçi Island near Edirne. At the same time, oil wrestling rules were changed on the orders of the first president of the Turkish Republic, Mustafa Kemal Atatürk who put the wrestling organisations directly under his own sponsorship. He ordered Selim Sırrı Tarcan to restyle oil-wrestling according to his guidelines to create a sports discipline similar to the ones from the Western world. 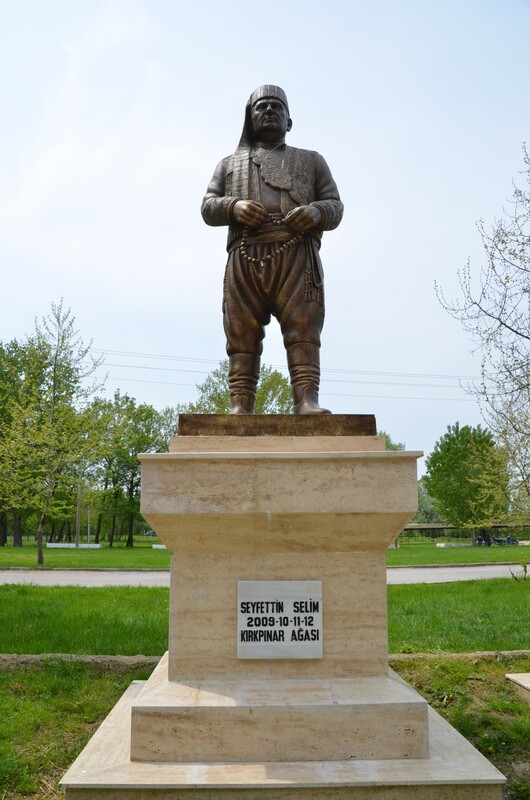 As a result, the winner of the Edirne competition was no longer to be called "Başpehlivan of the Kırkpınar" but got the title of "Champion of Turkey". Moreover, medals began to be awarded instead of traditional prizes such as the Golden Belt and horses, donkeys, and camels. These drastic changes were too much for the traditionalists, and the fears arose that without golden belts the participation in the tournament would drop dramatically. Selim Sırrı Tarcan managed to achieve a compromise, allowing the winner in the highest category to be awarded the title of "Chief Wrestler of the Year". He also kept the Golden Belt, but with certain restrictions. Now, it can only be granted in the Edirne Kırkpınar Tournament, and only to a "Turkish Champion" who wins the event for three consecutive years. Kırkpınar is an annual tournament, usually held at the end of June or beginning of July. 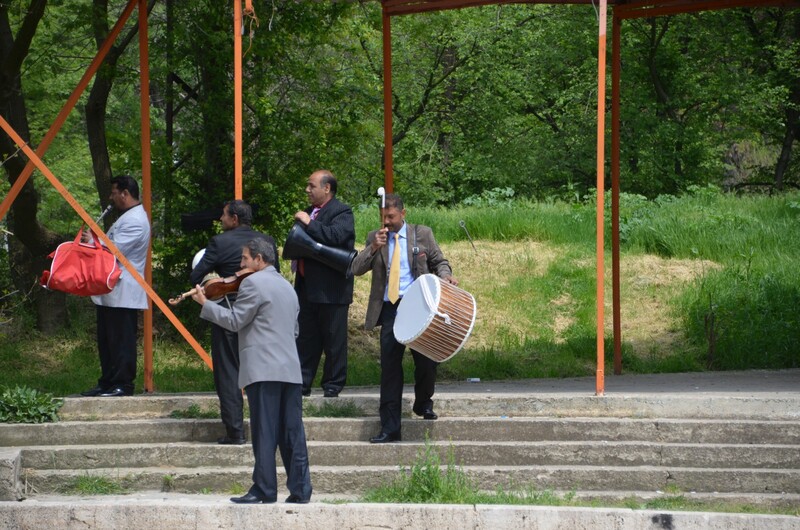 In addition to the sports competitions, there are also performances of folklore bands, including the Janissary orchestra, famous artists of the Turkish stage. The politicians give speeches, and the whole event is watched by hundreds of thousands of spectators. 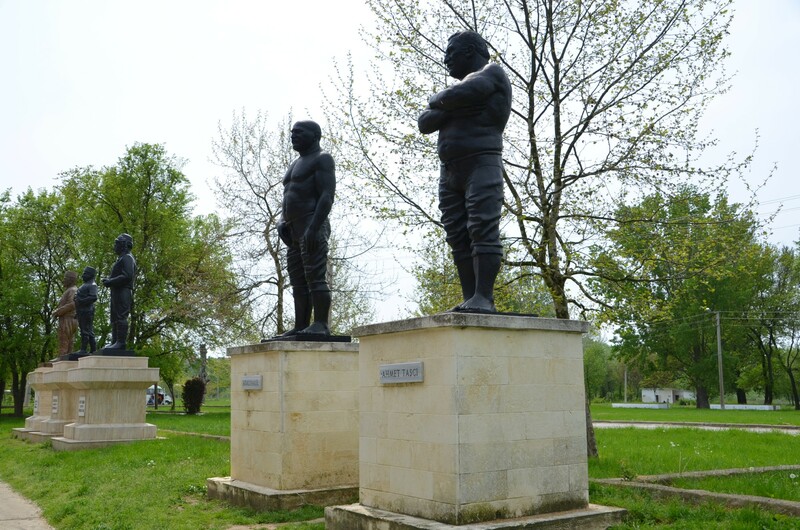 Before the competition, the tombs of two famous wrestlers, Adalı Halil and Kara Emin, located in Kaleiçi, the old district of Edirne, are visited. Then there are prayers in the Selimiye Mosque, after which the wrestlers march to Sarayiçi. Kırkpınar Oil Wrestling Tournament starts begins with a prayer by the cazgir (tournament announcer). He then calls: "In God's name! If you fall below give up, if you get on top hang on!" The rhythmic music of drums and zurnas helps the contestants to get ready. Following the prayer, the wrestlers go out onto the field and perform the warming up movements that resemble the way an eagle flaps its wings. Next, they make the traditional gesture of greeting - rapping their right hand on the ground and then touching it to their breast and forehead. The wrestlers are divided into ten groups, depending on their previous track record. The contests in the highest - baş güreş - category are held on the last day. Two wrestlers who get to the final wrestle for the Golden Belt. The wrestlers who win the title at Kırkpınar three years in a row are presented with a belt made from 1450 gram of 14-carat gold, now sponsored by Edirne Municipality. In 2010, Kırkpınar oil wrestling festival was inscribed into UNESCO Intangible Cultural Heritage of Humanity List. This list that was established in 2008 comprises cultural "practices and expressions [that] help demonstrate the diversity of this heritage and raise awareness about its importance." So far, there are 14 elements registered on this list in Turkey, including Turkish coffee culture and tradition, the Mevlevi Sema Ceremony, and flatbread making and sharing culture. Kırkpınar oil wrestling festival was accepted on UNESCO's World intangible Cultural Heritage List due to its different qualifications such as verbal expressions and traditions (prayers by cazgırs), performing arts, social practices, rituals and feasts, the tradition of crafts (wrestler's tights - kıspet and bag for wrestler's tights - zenbil). 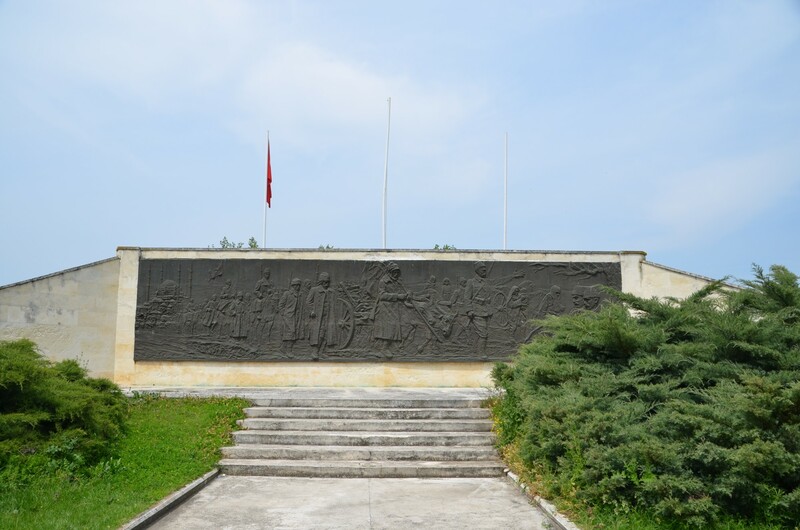 The stadium itself is not very exciting or historic structure, as it was erected in the 20th century and renovated at the behest of Prime Minister Turgut Özal in 1985. 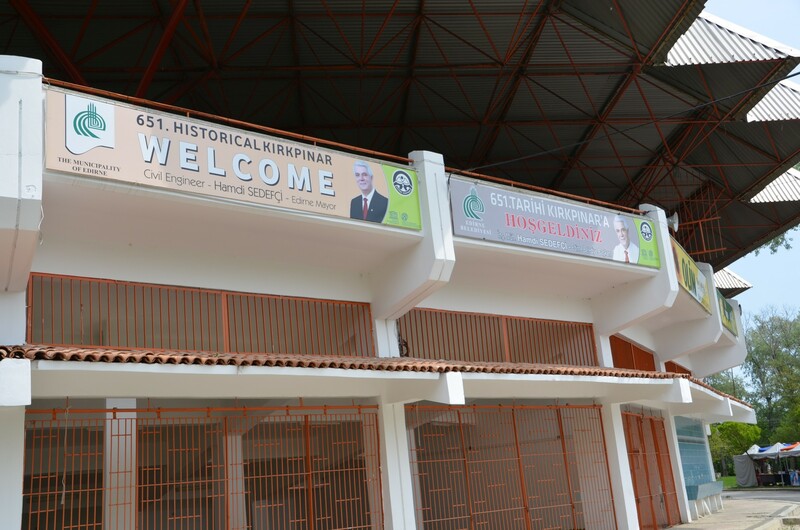 In front of the stadium, the monuments of the winners of the tournaments stand proudly. 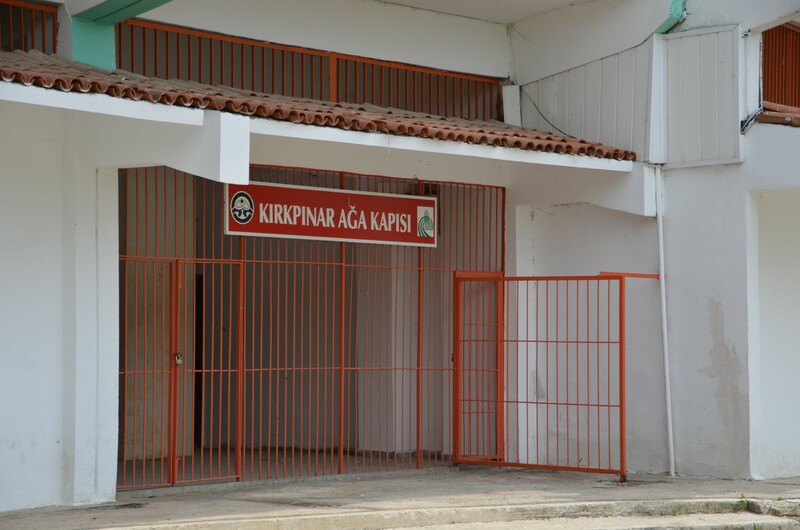 If you do not have the chance to be in the audience at the Kırkpınar Tournament, a visit to this place may still be an enjoyable experience. Trainings and smaller competitions are held there quite often, and the stadium is frequented by the drummers, marking their presence heard very loudly. Right next to the stadium, there are the ruins of the Ottoman palace of Saray-ı Cedid-i Amire. 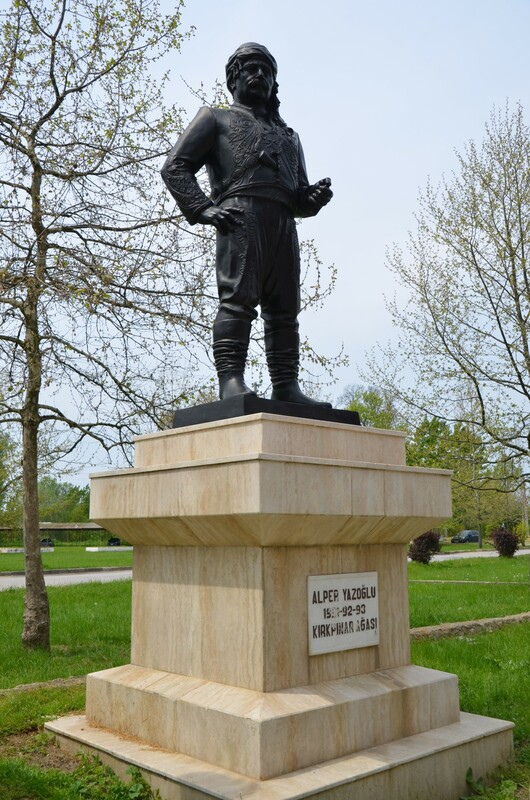 In addition to them, there is a monument commemorating the victims of the Balkan wars of the early 20th century (tr. 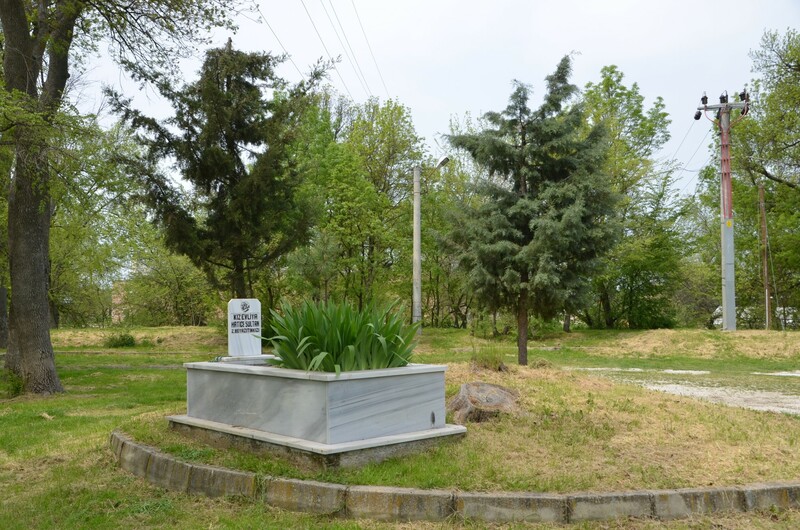 Edirne Balkan Şehitliği) and the graves of fallen soldiers. 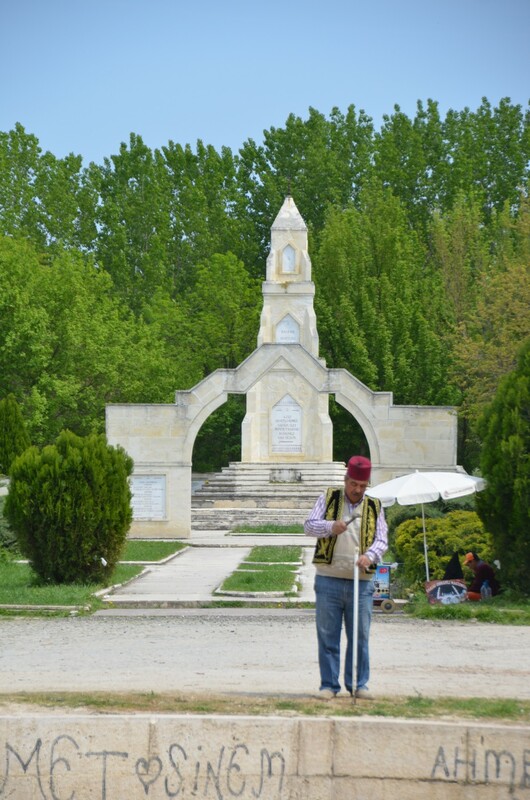 Just to the west of the stadium, stands a lonely grave of Hatice, the daughter of Sultan Bayezid II. 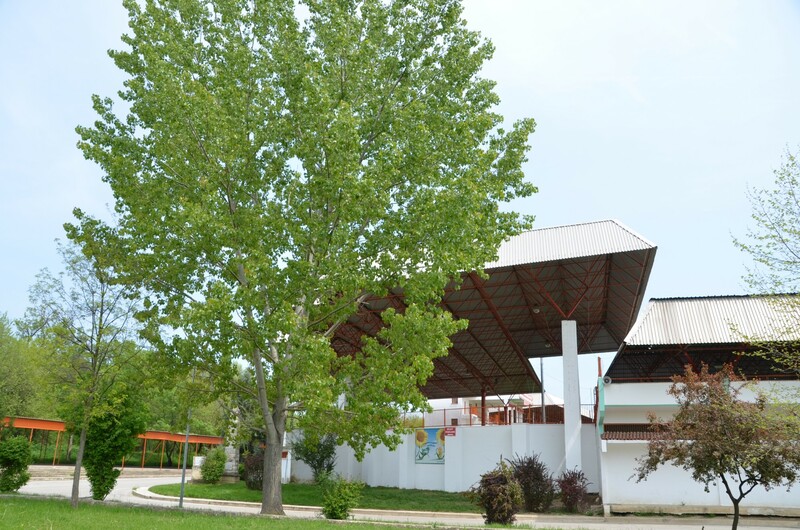 Kırkpınar Stadium is located on the northern side of Edirne. From the city centre, you can walk on foot, starting from the Selimiye Mosque. From there, head northeast, down Mimar Sinan Street, and then to the north along the Saray Yolu (Palace Road). 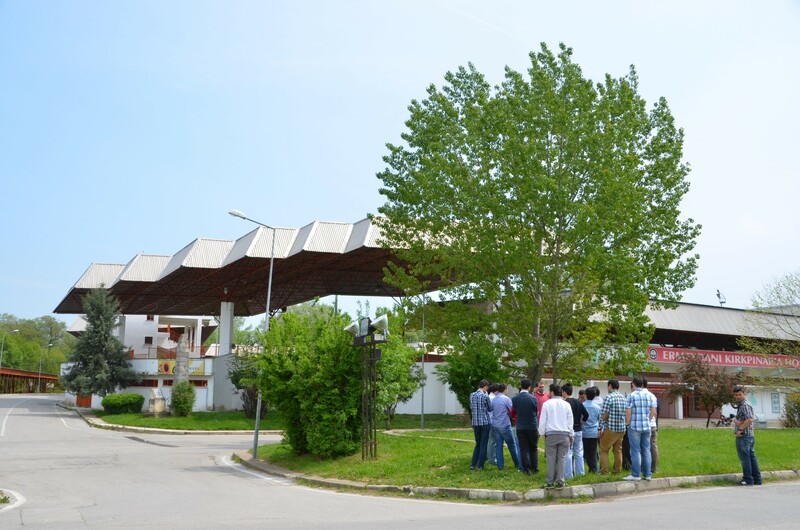 It leads to Suleiman Bridge (Kanuni Köprüsü), where you can cross Tunca River to get to the island where the stadium is located. The total distance the Selimiye Mosque is about 1.5 km. An alternative walking route leads to the stadium from the Sultan Bayezid II Mosque Complex along the Tunca River (1 km hike). It can also be started at the mosque of Gazi Mihal, to take you along the river bank to the Sultan Bayezid II Mosque Complex and further on to the stadium (2 km hike).